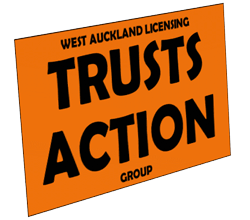 Here we are in February already and we’re back on deck pushing for competition in West Auckland alcohol. I’m starting off the blog for the year with a bit of a look forward at what we can expect in 2019. So far, we’ve managed to collect a little under 12,000 signatures. We need 28,000 valid signatures so there’s still a bundle of work required to get there. We haven’t assessed what proportion of the signatures will be discarded as invalid yet either. We’re under no illusion about the size of the task but we’re determined to get the job done. Elections are happening later in 2019 and we’re hoping we’ll have the chance to vote about competition then too. Most of the media’s focus is usually on the mayoral election and this year should be no different with John Tamihere already announcing his candidacy and he is sure to create plenty of headlines. There’s usually very little coverage of the candidates for the licensing trusts (or the District Health Boards). We’ll be trying to raise the profile of the licensing trust elections and when the time comes we’ll aim to provide an assessment of the candidates to help you choose. We’re hoping it won’t be the same old line-up of monopolists this time. Are there any potential candidates out there who might share our view on competition? If you are thinking about running for office this year, drop us a line. What can we expect from The Trusts in 2019? They’ve got retail stores, hospitality venues, quite a few billboards as well as the ‘Our West’ magazine delivered to 85,000 households every month. They’ve also increased their spend on Facebook marketing recently. They’re going to be using all of this (and more) to talk to us about ‘giving back’ in 2019. They’ve also just begun distributing 70,000 first aid kits. There are billboards/posters already and vouchers coming to mailboxes across West Auckland. They’ll be collecting your personal details when you collect your first aid kit which might come in handy for them later. The Million Dollar Mission voting is coming in March. It’s been reported that previous versions were supported by $200,000 in marketing activity. There’s a good chance that activity will increase this year. Expect to hear plenty about it. It’s noteworthy too that they’ve also started using social media to tell the stories of the grant recipients. They are certainly very worthy organisations doing great work in West Auckland. Some of the videos they’ve already circulated are emotionally charged and really powerful stuff. No doubt they’ve got plenty more of this sort of stuff to come. I think it’s safe to say, they’re going to be making sure everyone is aware of their giving back programme and coupling that with messages about how ‘giving back’ wouldn’t be possible with competition. When things start to heat up a little closer to the referendum, I think we can expect The Trusts to use their political and business networks to help promote their position. We can certainly expect to see Bob Harvey wheeled out regularly and perhaps David Cunliffe will get involved too. It will be interesting to see if other current or former politicians (or business leaders, media/sporting personalities etc) will choose to publicly support the current model. Duncan Garner is an interesting one. He has been pulled into the fold as a member of the selection panel for the Million Dollar Mission this year. Will Duncan align himself with the monopolists or is he smart/brave enough to realise the giving back isn’t reliant on the monopoly and support competition? Time will tell. Te Atatu Peninsula will get a new Village Wine & Spirits store and the old West Liquor attached to the Te Atatu Tavern will close early this year. The Trusts have also already said they’re looking at putting a new liquor store in at Rosebank Road. Given it’s already been announced, it’s likely that will happen in 2019. Despite the opening of Mr Illingsworth on the adjacent site, there’s been no information given about the future of the Te Atatu Tavern. It seems likely to stay open in the short term because it hosts 18 poker machines and a TAB and also there would be some ill-feeling directed at The Trusts if it were to close (some locals are very fond of their tavern). Richardson’s is certainly closing soon, with the site sold and transferring to the new owner in April 2019. I haven’t seen any announcements but perhaps they’ve already told both the regulars. 2018/19 annual results. 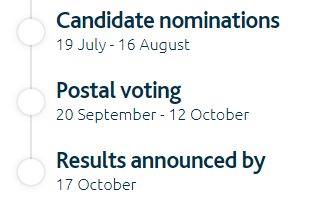 The Trusts normally publish their results in August, which will be just before the local body elections this year. Back in 2003, The Trusts reportedly held back publishing their financial statements until after the vote was underway (which took place in February). This time, they will be reporting a very large profit as they have sold a property on Triangle Road (formerly the Western Lights Tavern) which will bolster their reported profit by some $2m+. If they also report the sale of Richardson’s Tavern in 2018/19 (which is due to settle in April 2019), then that will land them an additional profit boost of about $10m. I expect this means they’ll be only too happy to put their results out just before voting begins. Delaying the referendum. Back in 2002, the Trusts refused to pay for the scrutineering of the petition and also delayed passing on one of the petitions to the Licensing Authority. This year, I won’t be surprised to see similar efforts to delay and frustrate the referendum. Perhaps they will even challenge the legitimacy of the signatures collected in court to further delay things this time. What can we expect from WALTAG in 2019? We’ll be continuing to push for competition through social media and collecting signatures as quickly as our volunteers allow. The Ombudsman’s investigation (of our official information requests) should conclude sometime early in 2019, which will hopefully give us a bit more information about The Trusts. We’ll be blogging regularly and posting information as it comes to hand on facebook and twitter. If you haven’t already, follow us on twitter here and join our supporters group on FB here. It’s going to be a busy and interesting year. Join us for the ride!